Australia has just eclipsed two million solar rooftop systems. In Canberra, there may be confusion around energy policy. Everywhere else it’s clear that households are voting with their wallets on where they’ll find cheaper and cleaner electricity. Now, one in five Australian homes are benefitting from a solar PV system. Kane Thornton, chief executive of the Clean Energy Council said, “Solar is a clear way for consumers to take control of their power consumption and cut costs. It’s growing quickly by word-of-mouth.” In addition Mr Thornton said, “Homes with rooftop solar installed are saving an average of about $540 per year on their electricity bills.” Because solar panels are now providing annual rates of return of up to 20 per cent on the investment (and all tax-free), it’s little wonder that the rooftop revolution is continuing. 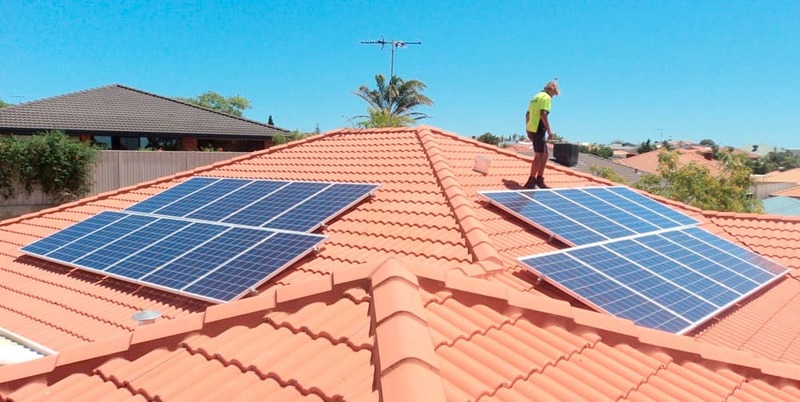 Queensland and South Australia continue to lead the country, with almost one in three households in each state having installed rooftop solar. An average of six panels per minute are being installed on Australia homes. However, add large-scale solar projects and it’s an average of 10-20 panels per minute according to estimates by the Australian Energy Market Operator. If the current run rate continues, then Australia is set to pass 3 million households with solar in just four years. Victoria’s new scheme to deliver half price solar to 650,000 homes with no upfront cost is set to spur the continued growth of household solar.